When you have an industrial hose need then you have a need to contact ASJ Industrial Hose & Fittings. We offer a full line of high-quality, competitively priced products for industrial needs of all types. To discover more about your options in hose and fitting supply in Los Angeles County CA keep reading. Then reach out to us at (951) 735-1351 or stop by with questions. It doesn’t matter what kind of hose connections you are on the lookout for – you can count on us to have them. From top brands to harder to find options, we have it all. We are proud to offer the entire line of fittings from top of the line Continental ContiTech. We can assist with needs relating to all types of pressure applications, including low-, medium-, and high-pressure. If you’re not sure of the right fitting then you can reach out to us for help with hosing and fitting supply in Los Angeles County CA. Just let us know what your needs are, what your specifications are, and what your preferences are and we can help you find the perfect fittings that will lead to the tight, reliable connections you need to ensure that your processes are always flowing smoothly. Do you need something you don’t see listed? Just give us a call! It’s likely we have it available for you but if not, we can order it. 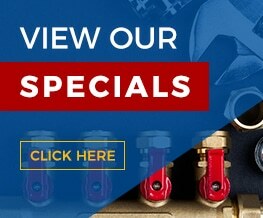 While you may have found us because you’re looking for hose and fitting supply in Los Angeles County, you’ll surely be glad that you found us for many other reasons. We have products and services related to much more, including hose assembly, parts to fit existing hose configurations, and total hose assembly. No matter how big or small your job is, you can always count on us to treat you as our priority and to offer on-time, error-free orders. 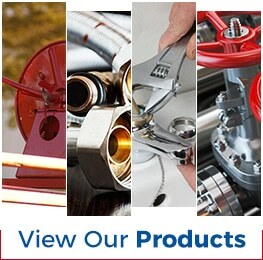 There are many reasons to trust your hose and fitting needs to ASJ Industrial Hose & Fittings. First, we have been providing quality products and service since 1982. We’ve grown from a small operation that worked out of a family garage to a company with a 24,000-square foot facility located in Southern California. We offer a full range of products, from food hoses to chemical hoses, from agricultural hoses to concrete pumping hoses – and beyond! We have a huge inventory which means there’s a good chance we can offer immediate pick-up options or immediate shipping options. In the event we don’t have what you need in stock, just let us know and we can get it ordered and to you quickly. The bottom line is this: When you quality, you want ASJ Industrial Hose & Fittings.